Today is the perfect day to write a review on this book. Cold, rainy and grim suits the tone of the book exactly. 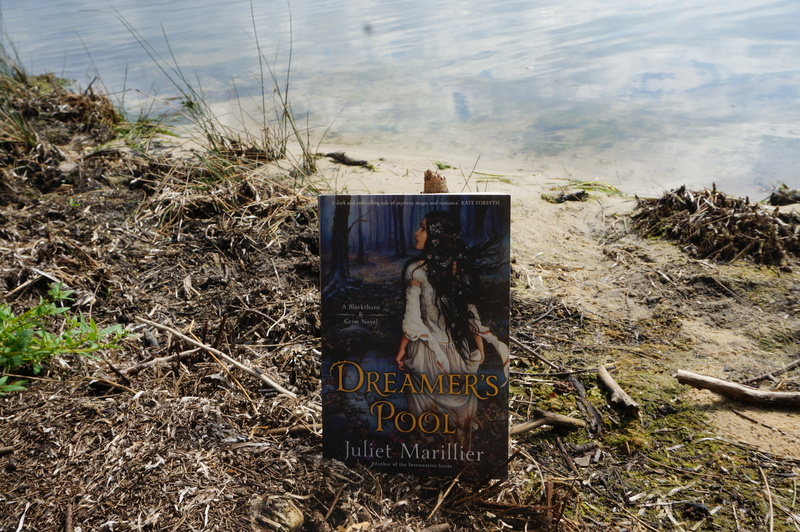 “Dreamer’s Pool” is another Juliet Marillier novel (I have a problem, I know) set in the British Isles. It is the first in the Blackthorn and Grim series, and the only one released so far. While there are some similarities between this one and the others that I have read, it is at its essence quite a different story. There are a number of point of view characters, and is a curious blend between fantasy, historical fiction and mystery. Unlikely duo Blackthorn the healer and strongman Grim set up home in a new village after they manage to escape from prison. Readily accepted into the community due to their hard work ethic and skills, they are asked by the prince to get much more involved than they would care to in order to find out the truth behind his newly arrived betrothed’s strange behaviour. Marillier is and remains a favourite of mine because she fills a largely unoccupied niche in the fantasy genre with her convincing and independent female lead characters. “Dreamer’s Pool” is no exception and has the additional layer of a kind of medieval detective story. However, Marilleir’s use of suspense in the novel at time borders on the infuriating. While perhaps not my favourite of her books, I did enjoy the fact that her characters in this novel were more like “common folk”. I also liked the unconventional relationships she has begun to explore, particularly between Blackthorn and Grim themselves. I’ll definitely pounce on the next one when it comes out. In the meantime, I’ll keep trying to exercise some self-restraint and try not to read the others that I still have all at once.